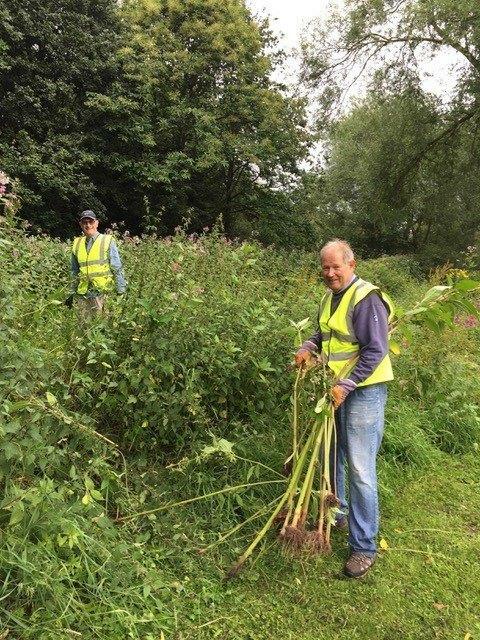 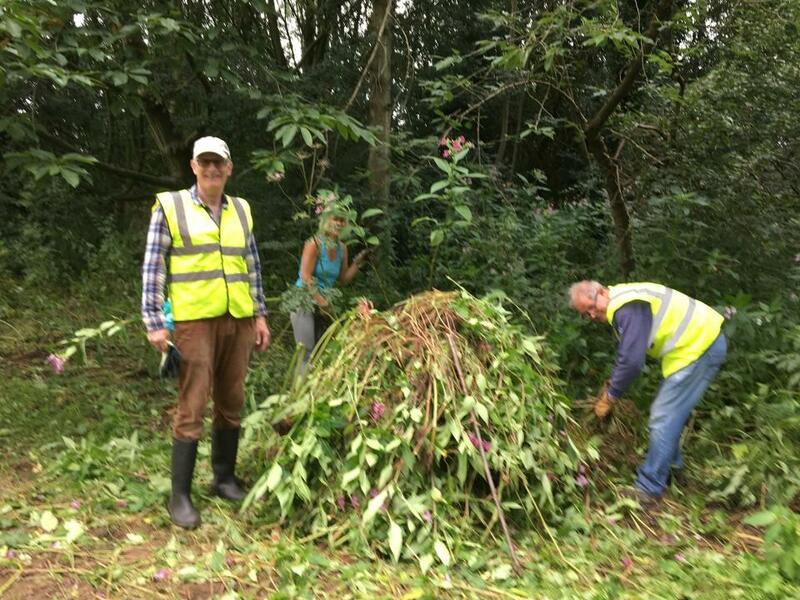 Almost one thousand Himalayan Balsam weeds cleared from the Weaver Way Members of RC Nantwich, Nantwich Civic Society and Nantwich Litter Picking Group. 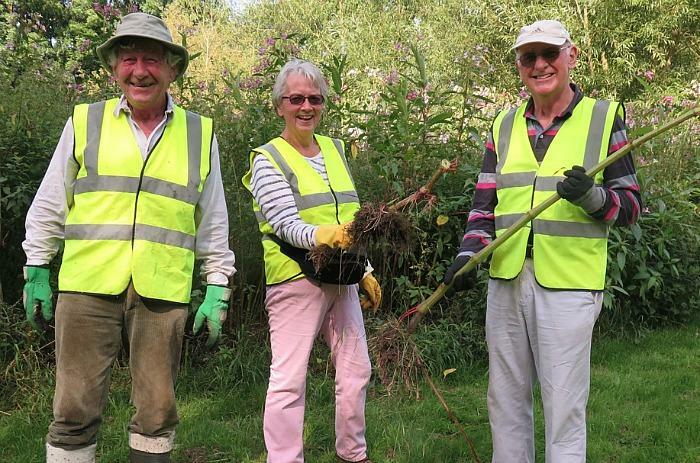 I'm sorry for the delay in getting planting this morning, but once we had set every plant out, the whole group made short shrift of those 350 hedging plants. 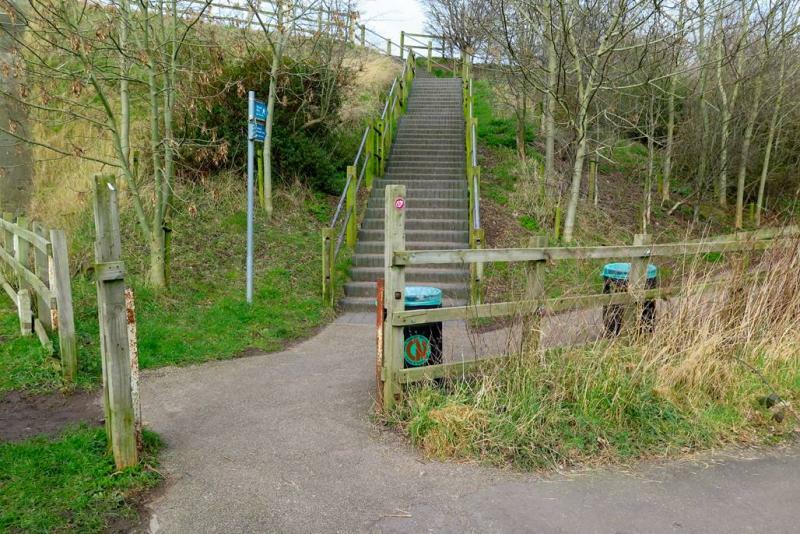 The whole stretch of previously bare fence looks better already - so, with some good spring and summer weather, we should see the hedge improving over time. 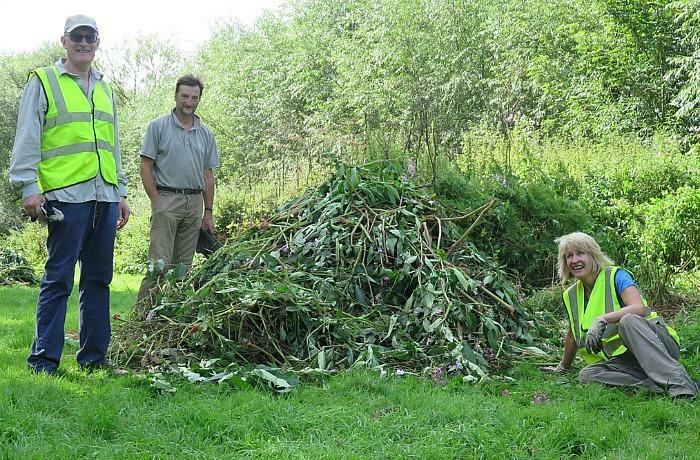 This previously bare stretch of Waterlode, will now have more visual interest as well as wildlife potential. 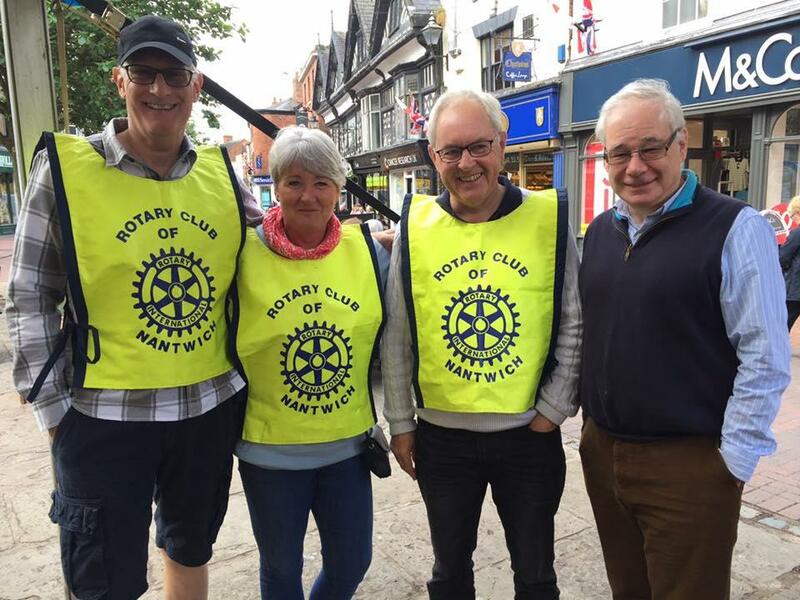 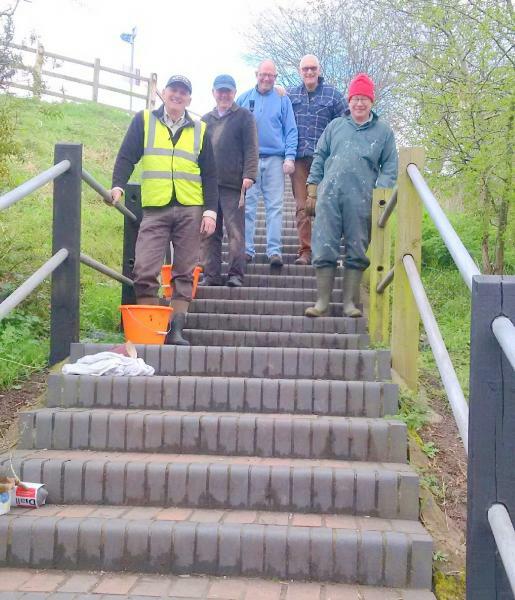 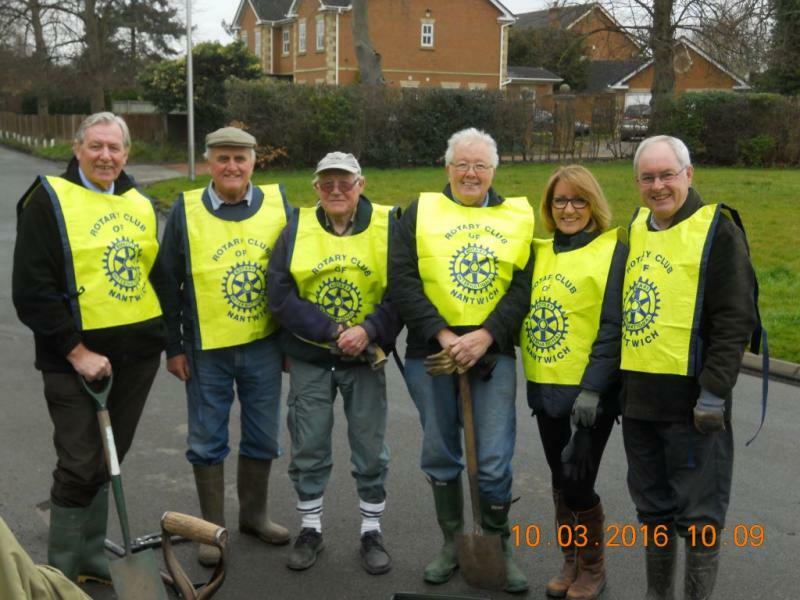 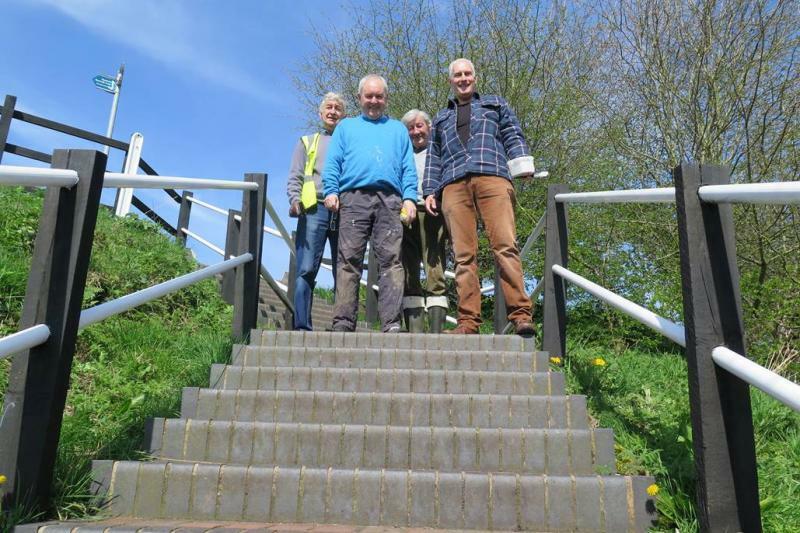 This project had been on the "to-do list" of Nantwich Partnership for well over a year, so it was thanks to Rotarians getting involved that the impetus came along to get it done! 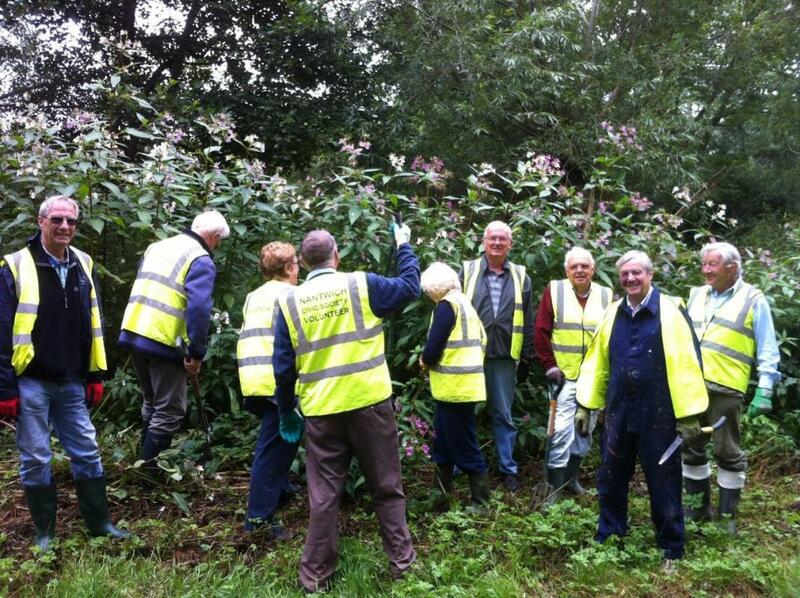 On behalf of Nantwich Partnership, may I thank everyone for their help today.